7:15am Jacob and Zane speak with Tim Gooden, former Geelong Trades and Labour Council secretary and Victorian Socialists Lead candidate for the Western Region upper house seat at the November 24 Victorian election. Key issues include job creation in regional areas, improved healthcare and education, how the State government could support the change the rules campaign, renationalising the energy sector and other privatised services, retooling the old Ford factory for electric Vehicle manufacturing. Crucially, Vic socialists see seats in parliament not as an end in themselves but as a pathway to strengthen people powered campaigns in the street. 7:45am Jacob and Zane speak with Tanya Davidge, president of Our City Our Square. The group is spearheading a campaign to prevent the privatisation of a key chunk of Fed square by the Andrews government, who want to hock it off to Apple. 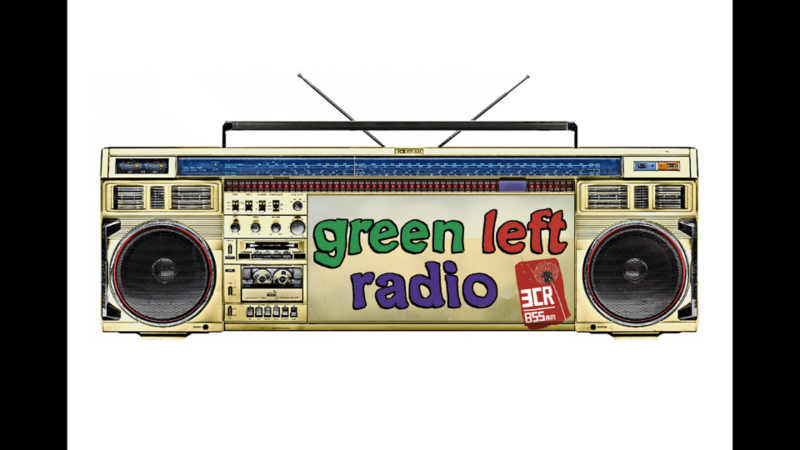 7:58am Green Left Weekly announces new supporter model as our people powered activist media model evolves. - Unionists break from Labor over TPP sell out as ALP parliamentary caucus backs TPP free trade deal in direct contravention of party policy voted on by the rank and file. MUA and ACTU speak out against the craven sell out by the party inner circle and Hunter Workers secretary Daniel Wallace quits ALP in response. A weekly source of alternative information which aims to inspire action and organisation to put people and the environment first.Covering international political issues and struggles against the exploitation of the people and exposing the bias in mainstream media that preferences the power brokers and denies access to information.